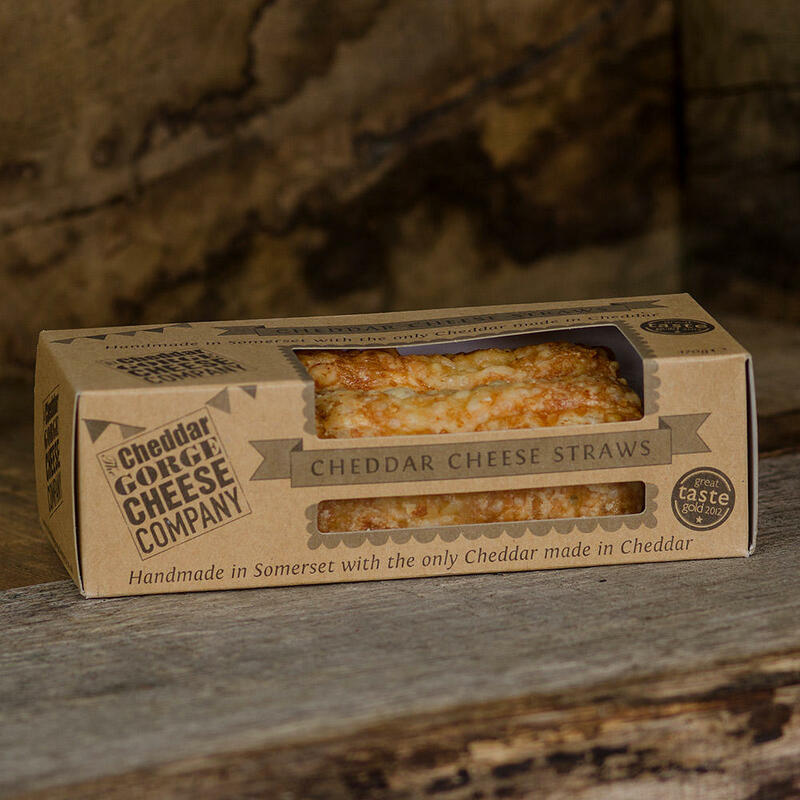 A lovely little hamper stuffed with four 190g portions of our delicious, award-winning cheddar. 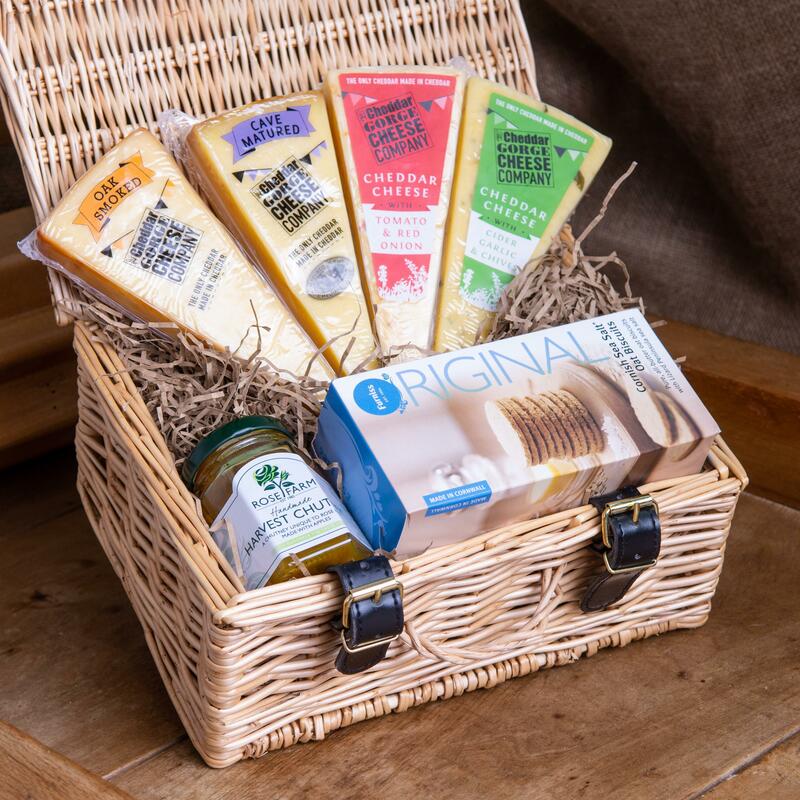 With some lovely sea salt oat biscuits and a small jar of cheddar pickle thrown in, this is a weighty hamper basket which is sure to delight. 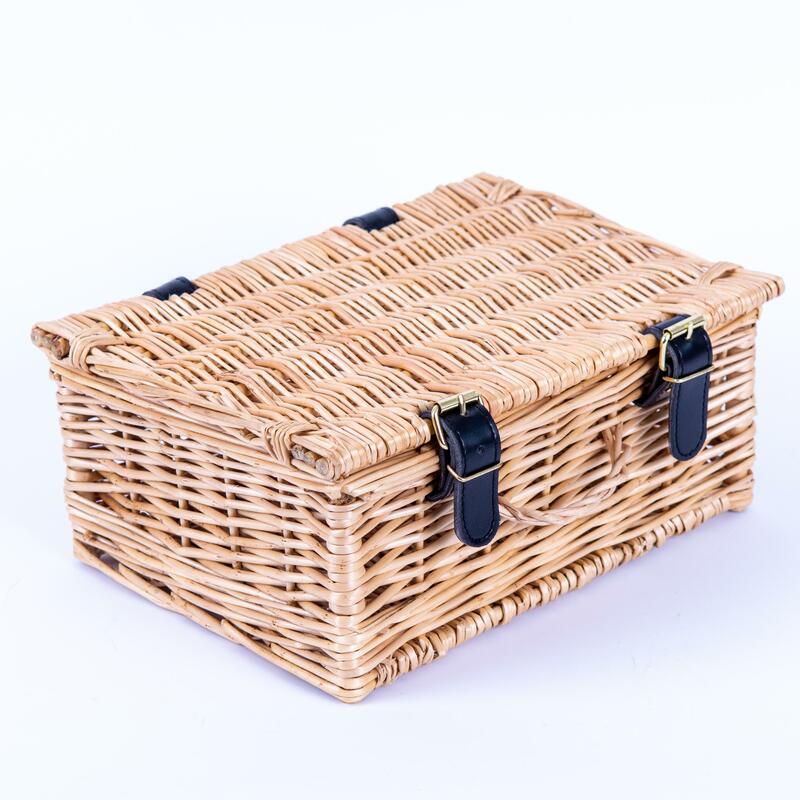 The wicker hamper will have endless uses long after the cheese has gone! Hamper dimensions are 250mm x 190mm x 110mm. 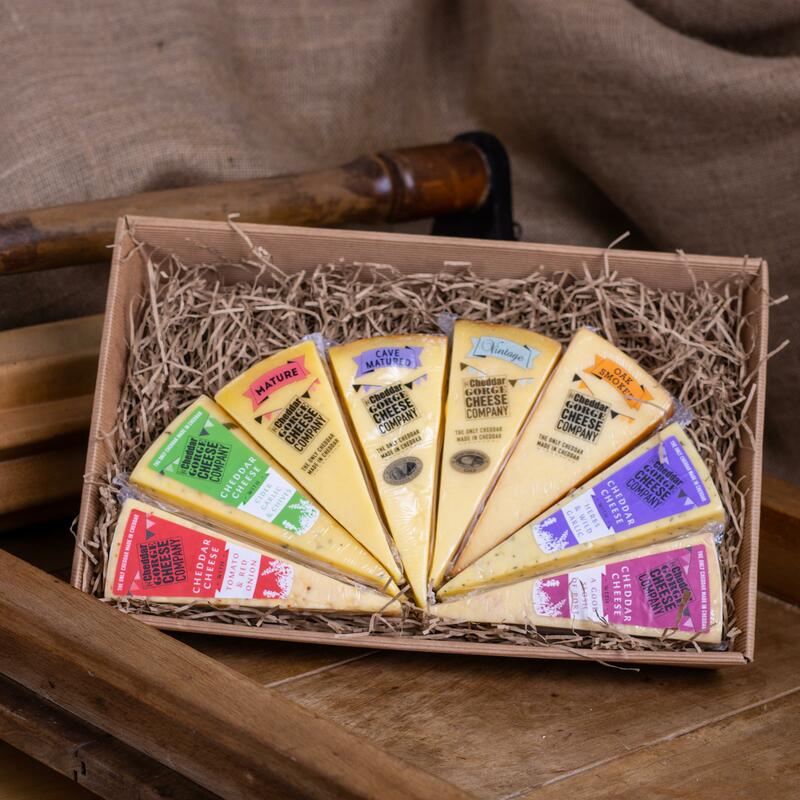 You choose which 4 x 190g portions of cheese you would like in this personal selection. Make your selections using the drop-down menus below. Furniss Original Cornish Sea Salt Oat Biscuits: Wheat, May also contain nuts.